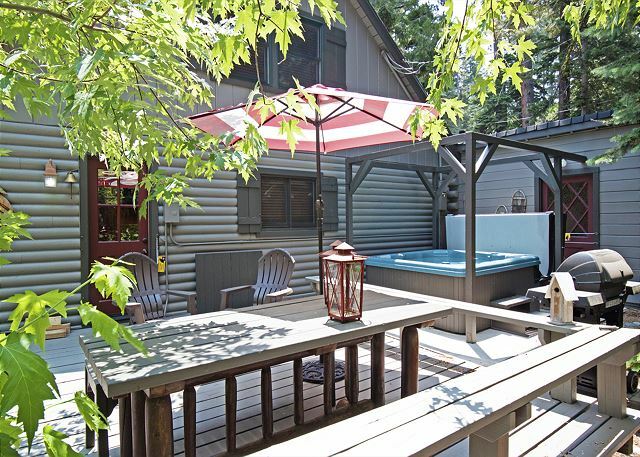 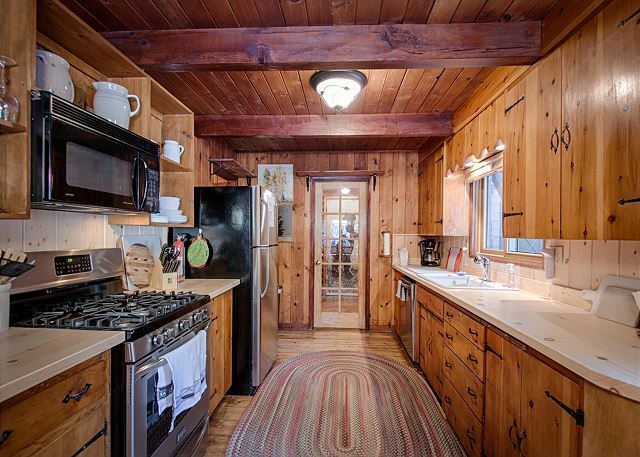 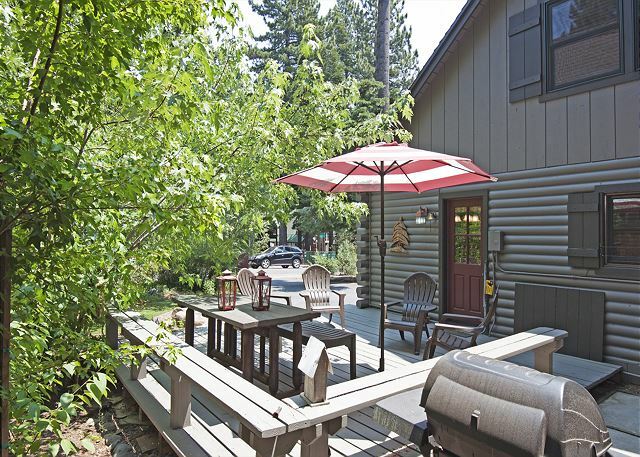 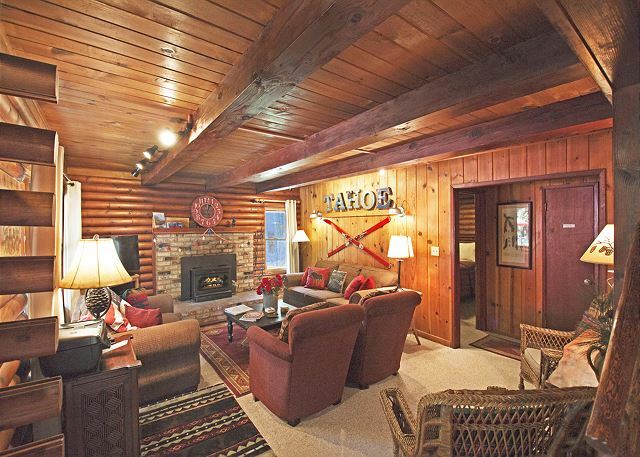 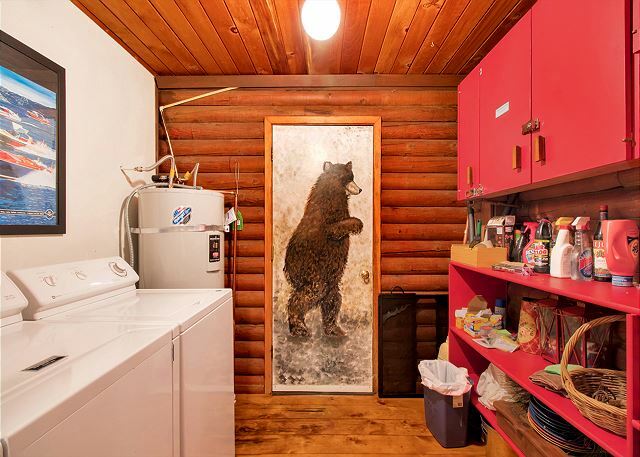 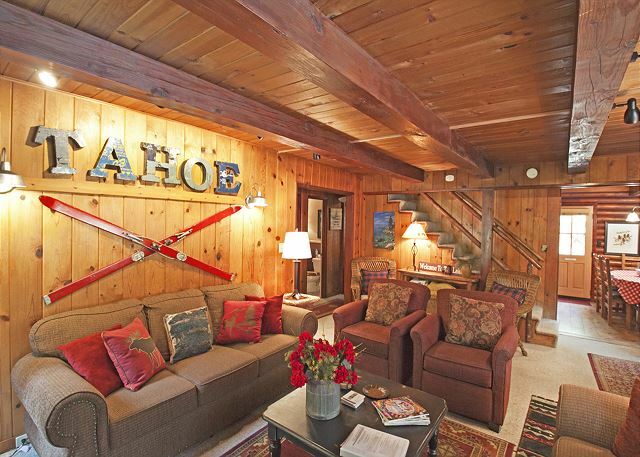 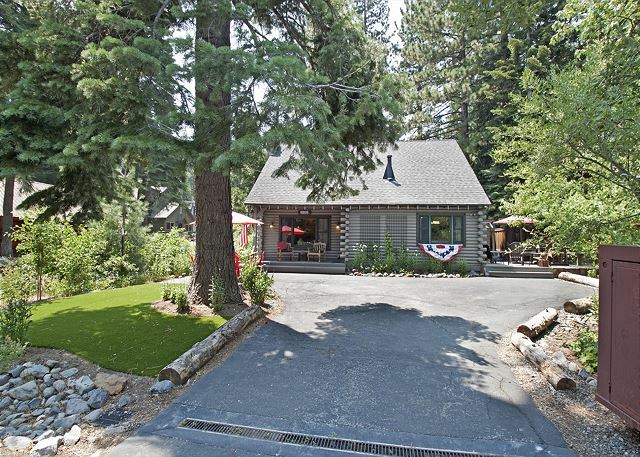 KARLEY'S LAKE LODGE: Make wonderful memories when renting this charming, Old Tahoe style, 3 bedroom, 2 bath cabin which is located in the popular Tahoe Park area. 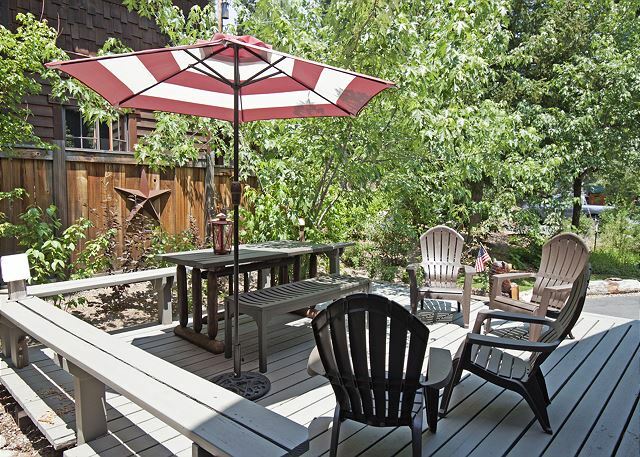 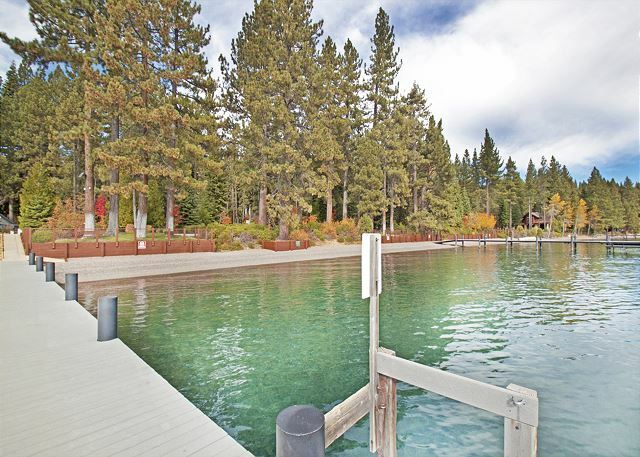 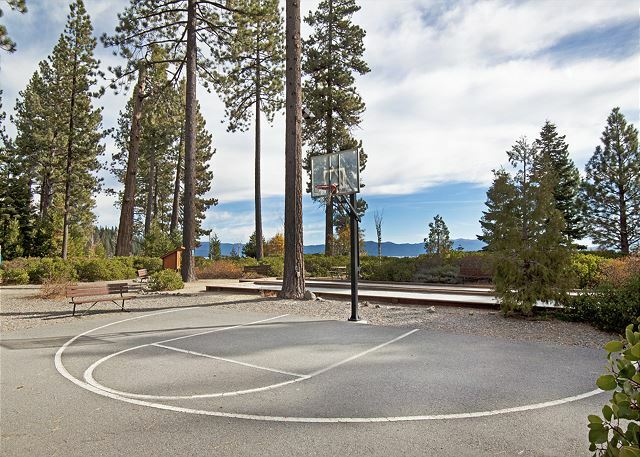 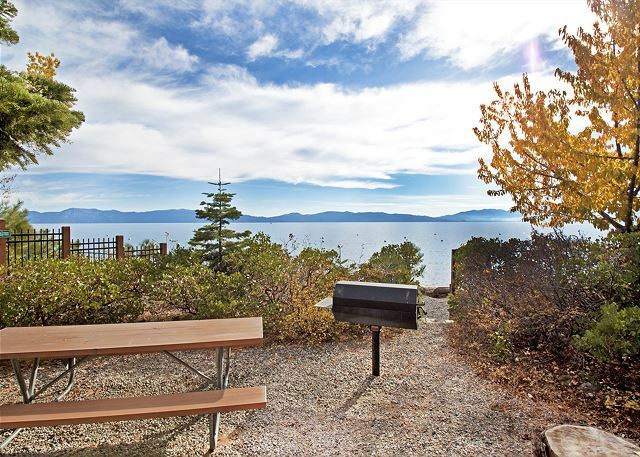 It's walking distance to the famous Firesign Cafe, Sunnyside, West Shore Market and Tahoe Park's private beach. 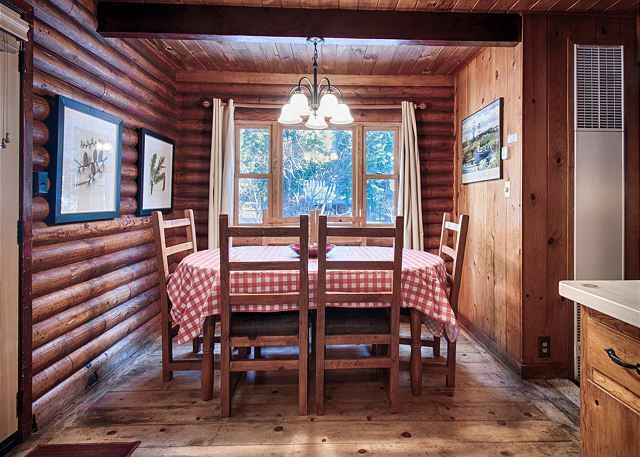 The cabin is fully equipped with washer, dryer, dishwasher, disposal, microwave, television with cable and wireless internet. 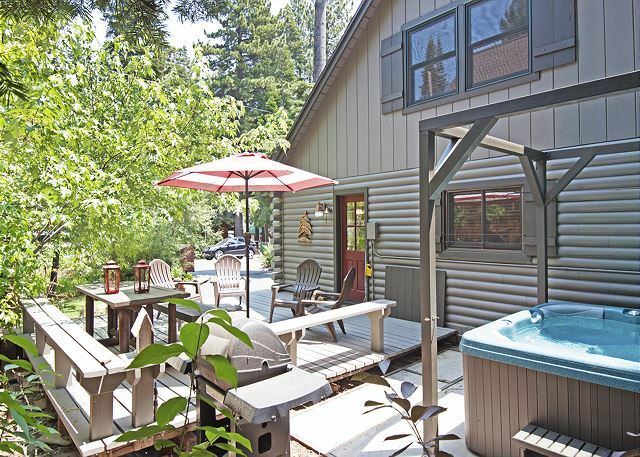 There's also a gas BBQ and a private hot tub on the side deck to enjoy after a day at the Lake or cozy up to the wood burning fireplace in the living room after a long day on the ski slopes. 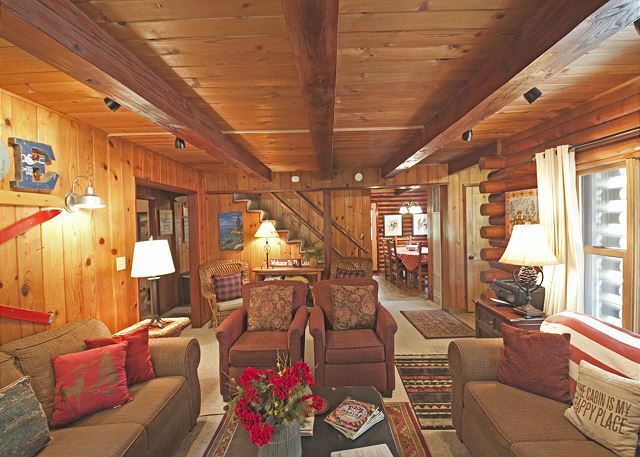 As you enter this wonderful cabin, you enter the living/dining area which is combined with the kitchen to make entertaining easy with plenty of seating for family and friends. 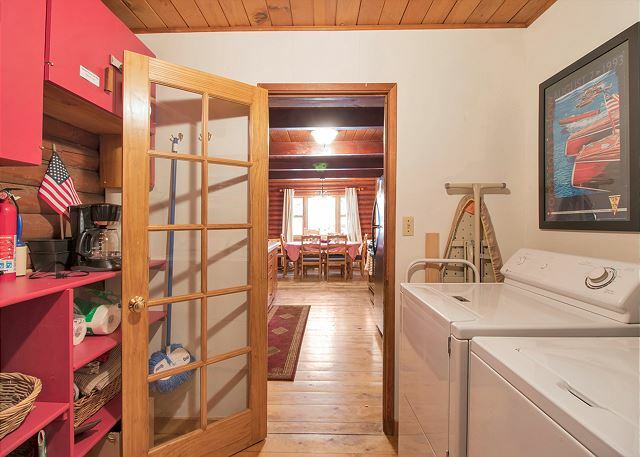 There is one bedroom downstairs that has access to a full bathroom down the hall with a tub/shower; the other two bedrooms are upstairs with a second full bathroom in the upstairs hallway, equipped with a shower stall. 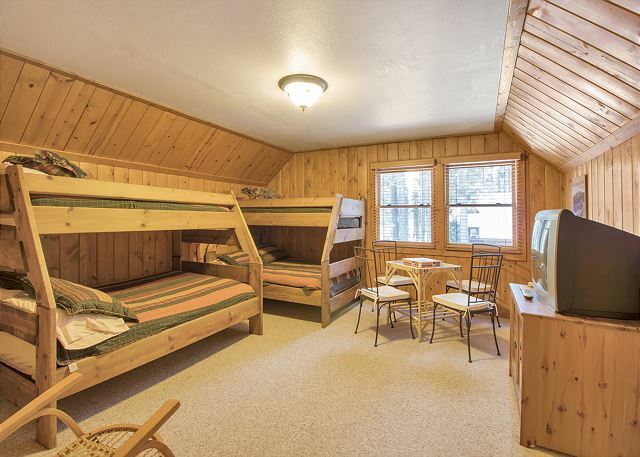 The bunk room is perfect for the kids and is equipped with games and a TV for those fun movie nights. 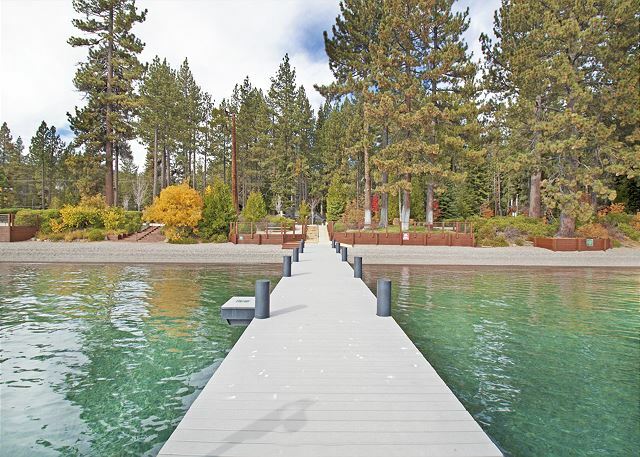 It's approximately 10-15 minutes to Squaw Valley, Alpine Meadows and Homewood ski areas; and about 45 minutes to Northstar at Tahoe. 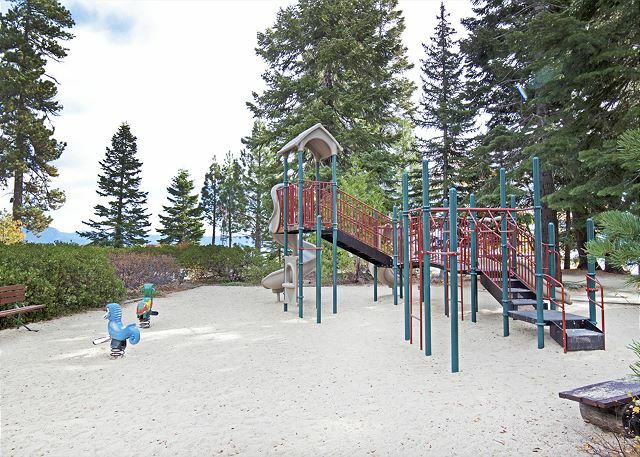 It's also close to many hiking/biking trails. 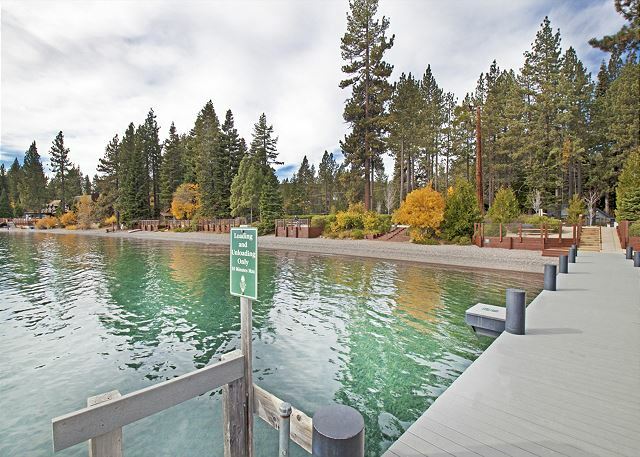 There is parking for up to 3 vehicles during the winter months. 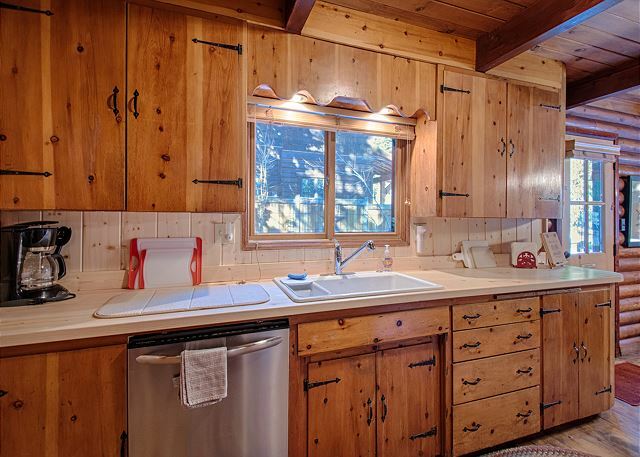 Cleaning fee of $220.00 includes linens. 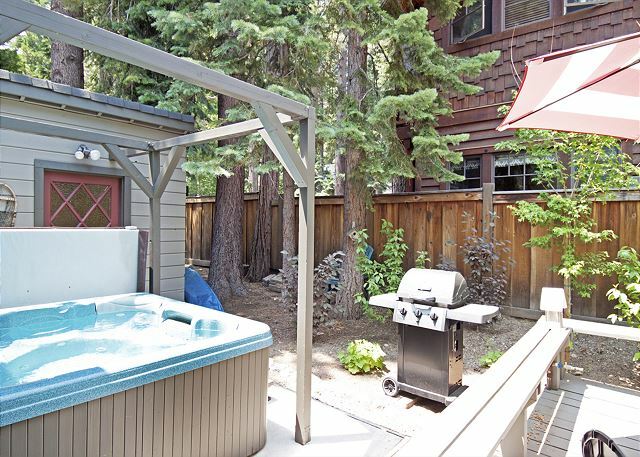 You may want to bring spa towels for the hot tub!